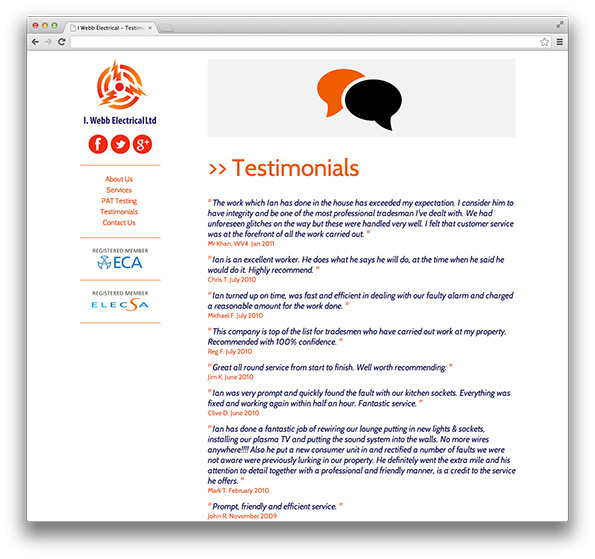 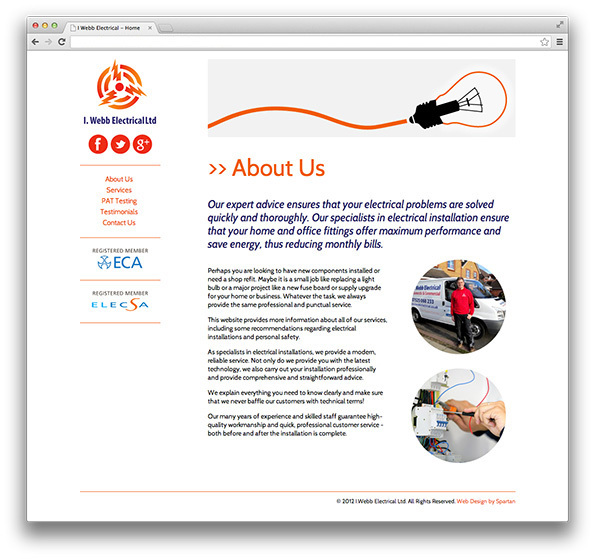 I.Webb Electrical needed a website design that would bring them up to date with their competitors. 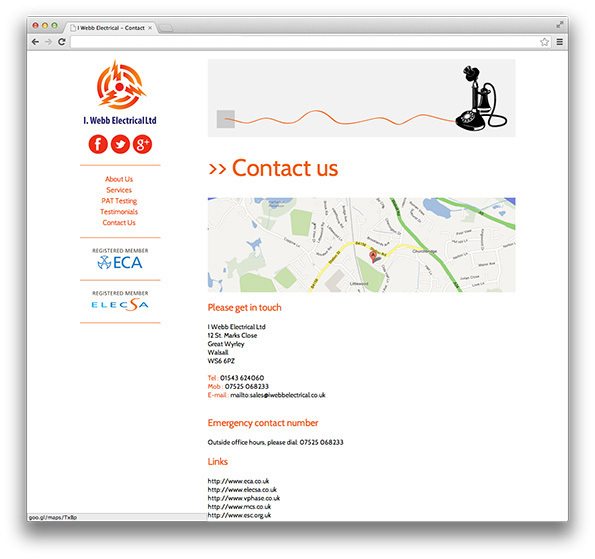 The one page jQuery animated website, allows for easy navigation for customers to the relevant parts of the website. 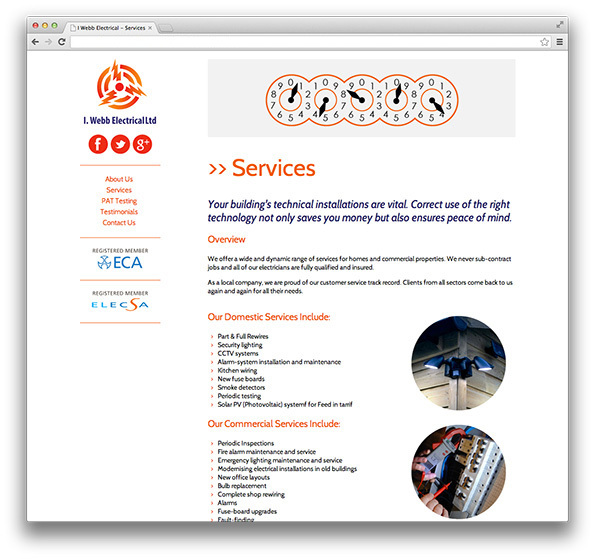 The website benefits from good SEO (Search Engine Optimisation) as all the content can be found on the same page.